The following text books and accompanying Instructor Guidebooks are used in Teacher Preparation Courses across the country. NYSDTSEA makes these available to student teachers simply by emailing or calling to Safety Enterprises $$. A portion of the proceeds goes as a donation to NYSDTSEA for their annual conference. 607 723-4216. ISBN 0-9636134-1-3 includes Instructor manual, ground shipping, and handling. Studies continue to show that most vehicle crashes are due to the errors of drivers with inadequate perceptual skills. ISBN 0-9636134-05 Includes Instructor manual, ground shipping,and handling. Traffic safety experts now believe novice drivers need at least 50 hours of supervised practice driving time to beome smarter, safer drivers before licensing. This manual is developed to help parents become more effective in guiding these extra practice drives. Parents can make a real difference in reducting the teenage crash rates. 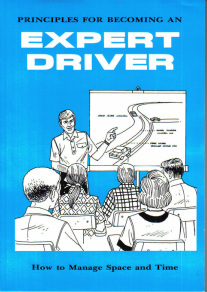 The manual is also helpful for enhancing behind the wheel activities in the driver education program. - brief overview of skills to be practiced. - tips on picking various driving routes. - suggestions to enhance behind the wheel time. 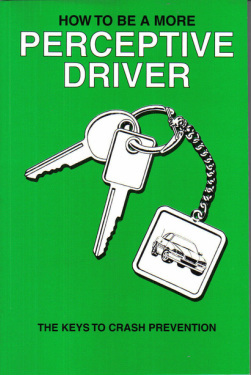 PRINCIPLES FOR BECOMING AN EXPERT DRIVER - Quensel $5.00 ISBN 0-9636134-4-8 $10.00 for Teacher materials . NYS Five Hour Pre Licensing Course or Driver Education classroom setting. To order email: or call (607) 723-4216. This manual reviews driving ranges and simulation systems; past, present and future. It's goal is to inform driver education teachers about how these phases of a driver education program enhance learning. The manual includes discussions on how these phases can be incorporated into a traditional driver education program, what is needed to operate these phases of the program and what current trends may encourage adding these phases of training to a program. Includes ground shipping, and handling.